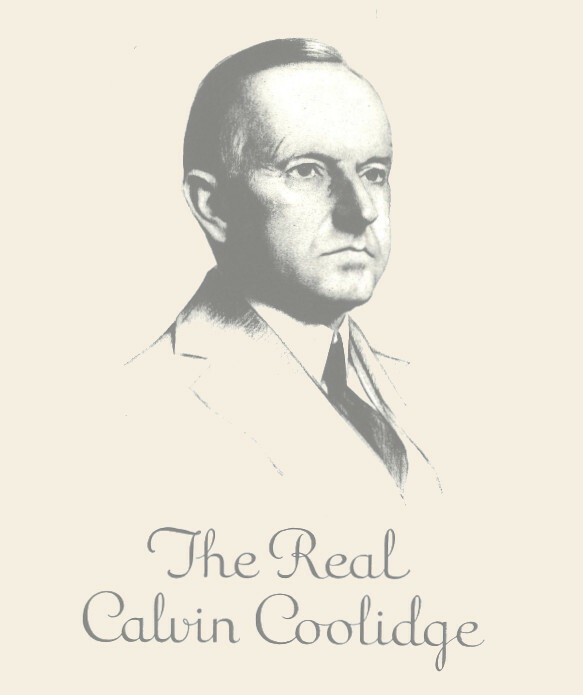 The Real Calvin Coolidge was a series of booklets originally put out by the Calvin Coolidge Memorial Foundation from 1983 to 2005. Comprised of eighteen volumes, The Real Calvin Coolidge offered insights into the life of our thirtieth president, and featured a variety of articles written by historians, Plymouth locals, Coolidge family, and others who knew and were influenced by him. Book reviews were also a feature, and earlier issues even featured commentary by Grace Coolidge. These booklets have now been digitized and uploaded here in their entirety. Football “Medicine” by James F. Coupal, M.D. Birthplace of Grace Goodhue Coolidge by Clifford A. Pease, Jr., M.D. When “Silent Cal” Used Cocaine by Milton F. Heller, Jr.
Calvin Coolidge & His Family: An Annotated Bibliography (1987) by Clifford A. Pease, Jr., M.D. Presidential Wives: An Anecdotal History (1988) by Paul F. Boller, Jr. Play Hide – and – Seek with Silent Cal’s Inaugural Medal by Darrell C. Crain, M.D. Grace and Cal by Gloria May Stoddard by Clifford A. Pease, Jr., M.D. Celebration of the 75th anniversary of Calvin Coolidge’s homestead inaugural. The American President by Philip B. Kunhardt, Jr.